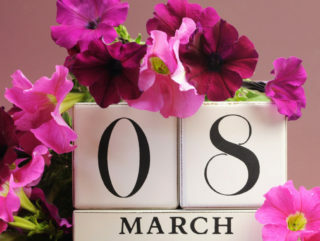 The morning of March the 7th for the girls of Soligorsk office began with romantic music with a guitar, compliments and, of course, flowers. 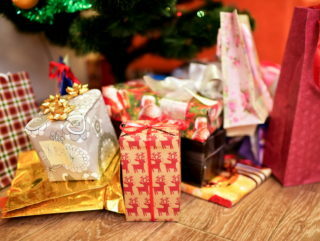 The men of our company came up with the original holiday script, which made the female.. This year Men’s day celebration was the most significant in the history of JazzTeam. The girls decided not to limit themselves to simple congratulations and just presentation of gifts, but to arrange a real challenge. To tickle the nerves, the..
New Year is time of joy and bright leisure. This is the time when positive festive atmosphere is felt everywhere: at home, in the street, in shops, cafes and, of course, at work. Year after year we play "The Secret.. In Belarus, as in all CIS countries, there is one holiday fully dedicated to male population, especially to militaries, it is called Defender of the Fatherland Day. Women express gratitude to men for their bravery, strength and honor. 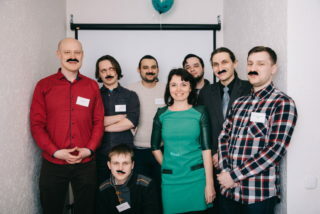 Traditionally, the..
New Year is really close and our team decided not to break with established traditions in the company and perform an anonymous gifts exchange ceremony "Secret Santa" this year too. 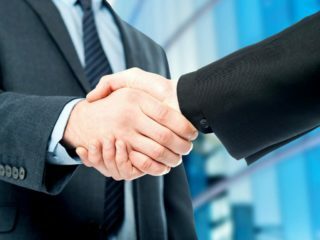 The point of this event is that employees give each..
For our company it is very important when our business partners are always confident in us as professionals of our craft and share our ideas and values. 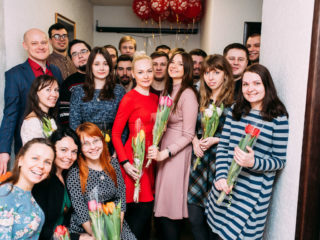 Recently our company was visited by Steve - our business partner from Great..
A beautiful day, wonderful flowers and the magic mood were presented to us by our male colleagues. 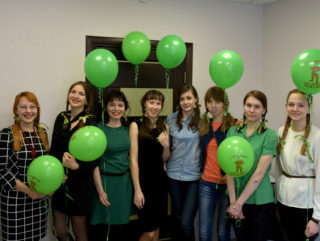 The holiday was felt from the very morning because our boys adorned working places and offices with flowers and balloons. We were treated..
Each year the female staff of JazzTeam is scratching their heads wondering what an original gift present to their male colleagues on February, 23. In the morning, we decorated the office with themed balloons and met every guy with greetings.. 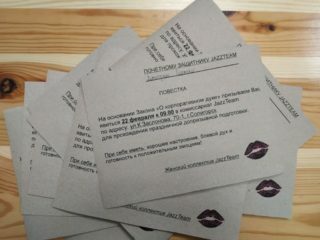 The 5th anniversary of the JazzTeam company! Dear friends! 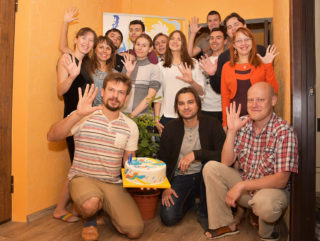 We are glad to announce that our young, energetic, and promising IT company JazzTeam celebrated its 5th anniversary! 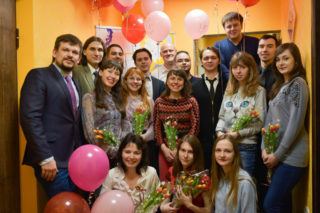 We have great pleasure to congratulate on this holiday all of our employees, and especially CEO - Dmitry Harachka. For.. It was an amazing day! 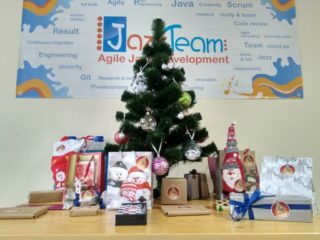 JazzTeam guys organized a real holiday for us. They decorated offices, handed flowers, gifts, recited poems and sang songs of their own composition. We were very much surprised with culinary delights cooked by guys: from..